For the intestinally afflicted, loperamide — Imodium, as it’s more commonly known — is a godsend. While diarrhea is certainly fodder for jokes, sight gags and childhood singalongs, it’ also serious: It accounts for 4 percent of all deaths, and 5 percent of health loss to disability, worldwide. After being approved by the U.S. Food and Drug Administration in 1976, Imodium quickly became the bestselling prescription anti-diarrheal medication in the United States during the 1980s, and in 1988, it was approved for over-the-counter sales. However, because of its chemical similarities to opioids, it does have the potential for abuse. But while a euphoric “high” is theoretically possible through abuse, the potential side effects can be deadly. Loperamide works on the gut in many of the same ways that other opioids do: It decreases intestinal movement. According to the Canadian health website MedBroadcast.com, “Diarrhea occurs when the contents in your digestive system move so quickly through the digestive system that the intestines don't have enough time to absorb the fluids, or when the digestive system produces extra fluid. The result is stools that contain excess fluids, making them loose and watery.” It’s often caused by bacteria, or in rare cases parasites, but loperamide acts to slow down that movement to allow fluid absorption. However, the chemical makeup of loperamide means that any opioid-like effects are redirected back into the gut by P-glycoprotein, a cell membrane protein that prevents it from crossing the blood-brain barrier. The first clinical results of loperamide were published in the 1973 Journal of Modern Chemistry, and three years later, the FDA approved it for use in the United States. However, its chemical similarity to other opioids led to its classification as a Schedule II narcotic, although by 1977 it was moved to a Schedule V and decontrolled altogether in 1982. For the most part, scientists, physicians and pharmacists felt, it was safe. And it still is. 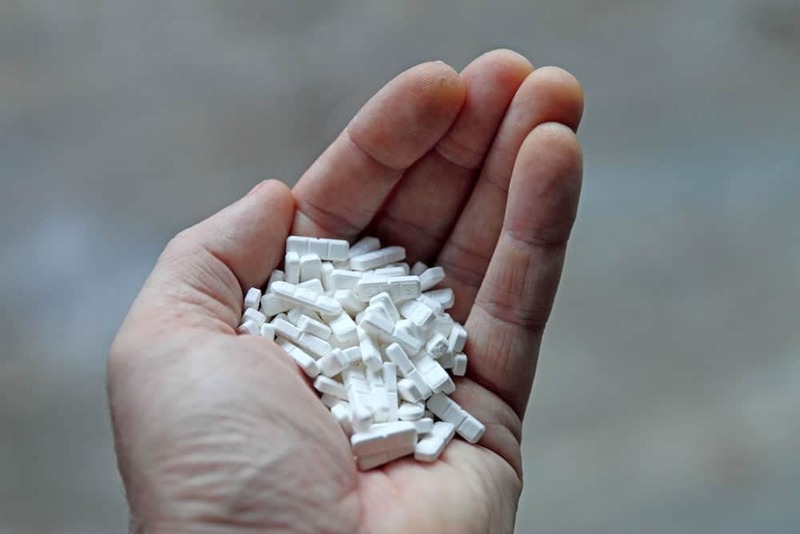 In 2013, 2mg loperamide tablets were added to the World Health Organization’s Model List of Essential Medicines, and for residents of Third World countries with limited access to clean drinking water, it can be a lifesaver. It can also, however, be a target for potential abuse. In other words, massive quantities of loperamide — many times larger than the recommended dosage of no more than 8mg per day — can be ingested to effectively overwhelm the P-glycoprotein in the cells of the gut. Think of it as a flood of loperamide spilling over the top of a P-glycoprotein dam: The dam can only hold back so much before being overwhelmed, and the loperamide cascades over it in a torrent. In a recent case at Cornerstone, Travis Pyle, director of medical services, reports that some former patients were taking as many as 100 2mg tablets at a time, which brings on a whole other set of issues. Other issues might include electrolyte abnormalities, according to Wenger; in addition, constipation is an issue, which can lead to bowel perforation. It’s not an overwhelming problem; Wenger, who works in emergency medicine outside of Cornerstone, says that the biggest issue is that many patients who present with such symptoms are often loathe to admit they took too many anti-diarrhea pills. According to a 2013 study by the National Center for Biotechnology Information, there was a 10-fold increase in postings on drug discussion web forums about loperamide abuse from 2010 to 2011. Roughly 70 percent of individuals discussed using it to treat opioid withdrawal symptoms, but those who posted about using it to get high reported taking up to 200mg. 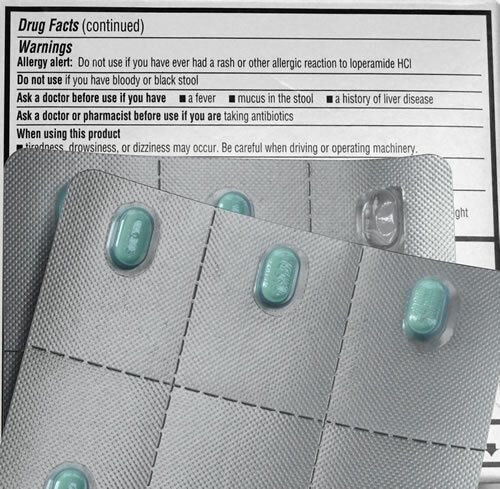 According to LaFoy, loperamide products at Blount Discount Pharmacy are kept immediately in front of the pharmacy counter, but he’s heard little chatter among colleagues about any uptick in loperamide abuse. At Cornerstone, it’s not a necessarily a major concern, either, but it is something the public should be aware of, Pyle says.